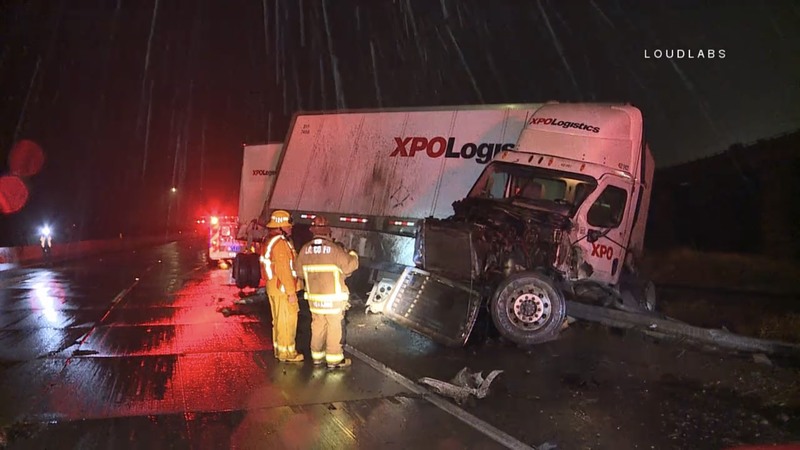 At approximately 2331, CHP and LACoFD responded to reports of an overturned semi truck. Arriving units found a mangled semi truck jackknifed and facing wrong way blocking the #2 lane. The driver was transported to a local hospital in stable condition. Firefighters used the jaws of life to gain access to the cab to get CHP documents containing the load information. EXTRICATION WAS NOT NEEDED to free the victim. The SB I5 truck route is closed for at least 2 hours. CHP Newhall is handling the investigation into the crash. 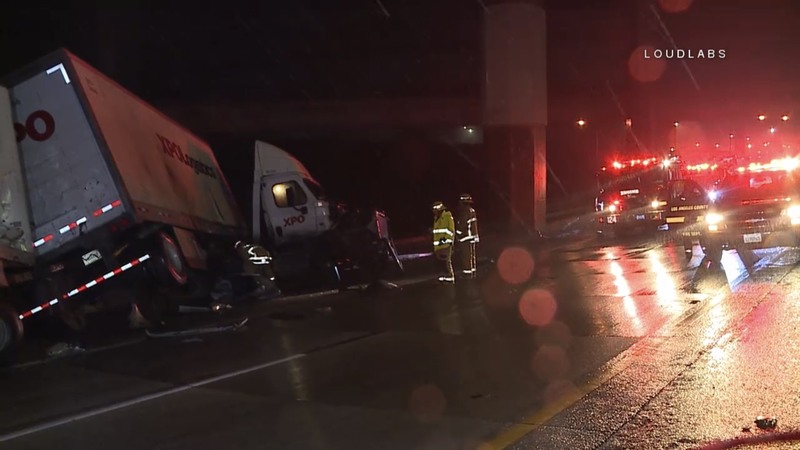 It was raining at the time the crash occurred.